Turning Vision Into Action: PLC Legacy Practice 1: Responding to Failure! What happens when people fail in your school? 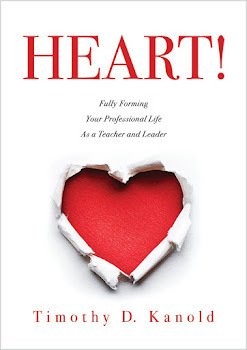 A hallmark of professional learning community leadership is your intentional and positive response to failure at all levels of the school organization. The systemic, swift, and intentional adult response to any level of student failure is one of the four critical questions every PLC learning team must answer. According to the allthingsPLC website - school leaders and leadership teams ask: “How will we provide students with additional time and support in a timely, directive, and systemic way when they experience difficulty in their learning?” Your ongoing leadership response to this question reveals the truth about how the school responds to the world of student misunderstandings, errors, and apathy to learning. Student failure that is not used as part of a reflective learning experience hurts everyone. Your level of leadership tolerance for student failure reveals your wisdom in using student mistakes as a tool to improve the ongoing formative cycle of learning in your area of school leadership. Does the school culture embrace student errors, require students to become reflective practitioners, and require student participation in a formative assessment learning process? Intentional, required student participation in response to failure is a legacy-building practice of extraordinary PLC leaders. In every school, there is also a parallel leadership response for adult misunderstandings, errors, and risk taking as well. Does your leadership inspire or discourage adult risk taking? Can adults within your N-S-E-W sphere of influence take risks, make mistakes, and learn and grow from those experiences without punitive judgment? The level of innovation and renewal success in your district, school, or program area of school leadership depends on the degree of focused risk a team is willing to take and the confidence of the team in your positive leadership response if failure occurs. Carol Dweck (2006), author of Mindset: The New Psychology of Success, summarizes her decades of research around two distinct mindsets of response to failure. These distinctions help the PLC leader to better understand why some adults have a difficult time responding to failure. Adults with a growth mindset believe their “talents, aptitudes, interests and temperament can change and grow over time” (p. 7). Growth-mindset adults embrace learning team challenges and failure as an opportunity to improve. In contrast, adults with a fixed mindset believe the qualities of talent, aptitude, interests and temperament are “carved in stone” (p. 6). These adults see every failure as an indictment of their worthiness. For fixed-mindset adults who believe these important qualities cannot be developed or grown, failure indicates permanently limited abilities or unworthiness as a faculty member or administrator in the school. Dweck indicates that “the passion for stretching yourself and sticking to it, even (or especially) when it is not going well, is a hallmark of the growth mindset” (p. 7). 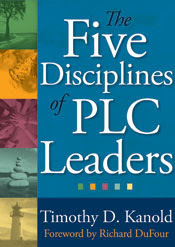 The growth mindset is a major premise of the PLC culture for adults and students alike as they move along in the flow channel described in chapter 4 and thus should be the focal point of the risk-taking measures a PLC leader should pursue. PLC leaders help those who are stuck in a fixed-mindset response move to a growth-mindset response to failure. To help fixed-mindset adults become comfortable with learning from failure, inspirational and influential leaders promote and nurture a culture of risk taking. How well do you promote risk taking? In future blogs I will reveal four risk-taking strategies and will provide a litmus test of your current legacy building and can be used to promote a growth-mindset culture.